This time of year the garden really struggles to shine. Some would say it looks a little lifeless. The leaves have now all fallen. The roses are well and truely finishes, ready for their pruning next month, and the summer vegies are a distant memory. 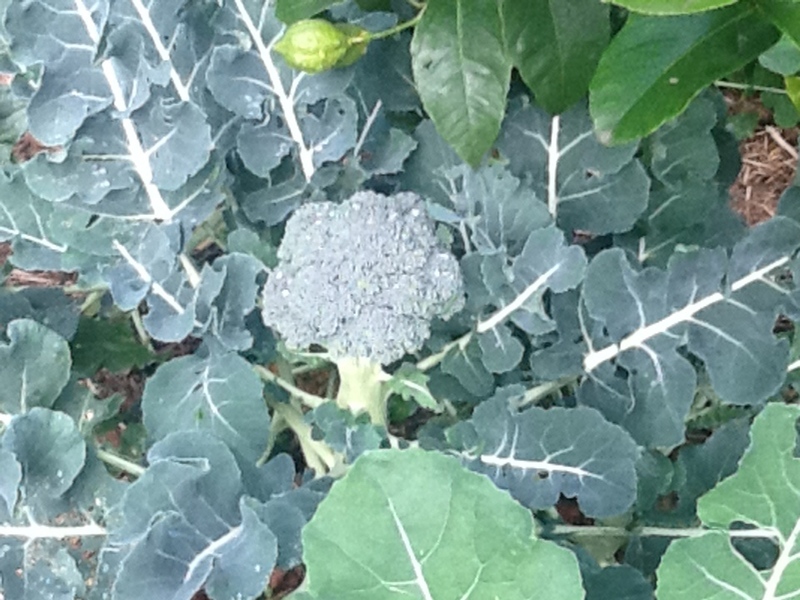 The Broccoli is always a winner, with the tight heads coming into full production. There are about five plants now that have produced large heads, the side shoots should follow in the next month. 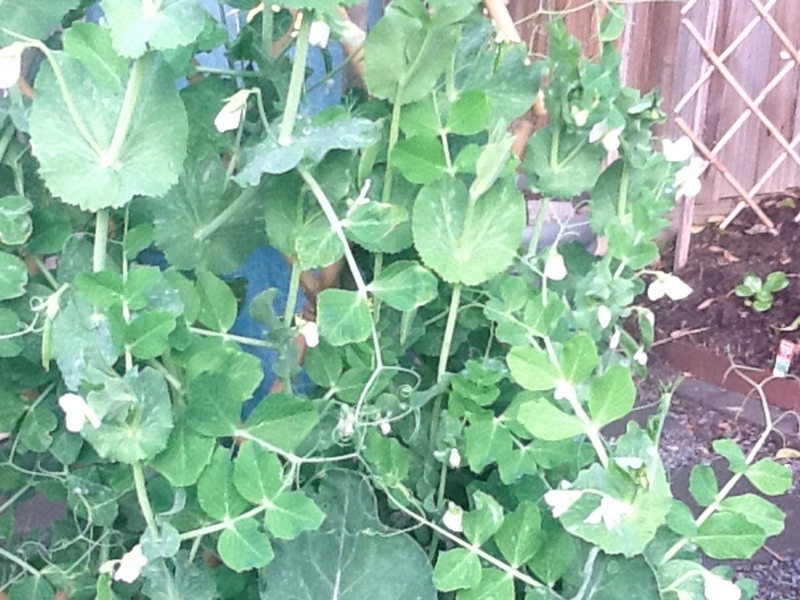 The climbing peas are just starting to plump up. These never make it inside the house, as the kids pick and eat them straight from the vine. The snow peas have also started to produce, these also don't make it inside, this time I'm the thief though. The watercress has popped up from no where and is growing vigorously. I thought I had pulled it all out at the end of Spring, but it has been a welcomed suprise. Great for a spicy salad, and this variety has a real bite to it. These are the red ones, they look as good as they taste. 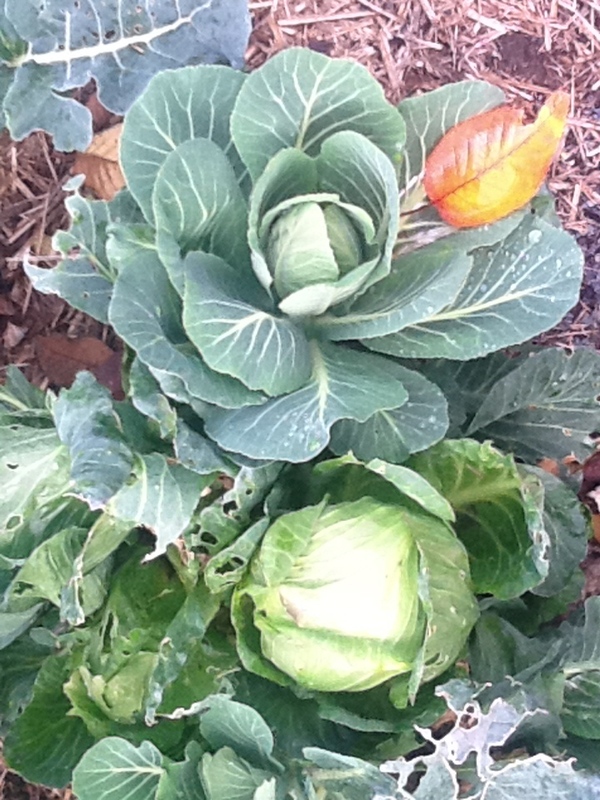 My January King cabbages are filling out beautifully. We have also planted baby cabbages which are really cute in size. These ones however are from last spring. 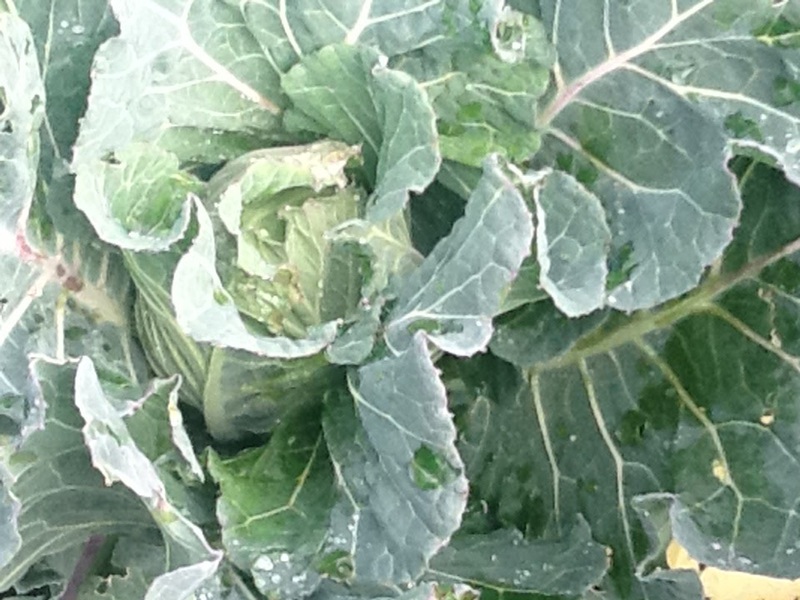 I simply removed the cabbage head and left the bottom of the plant. 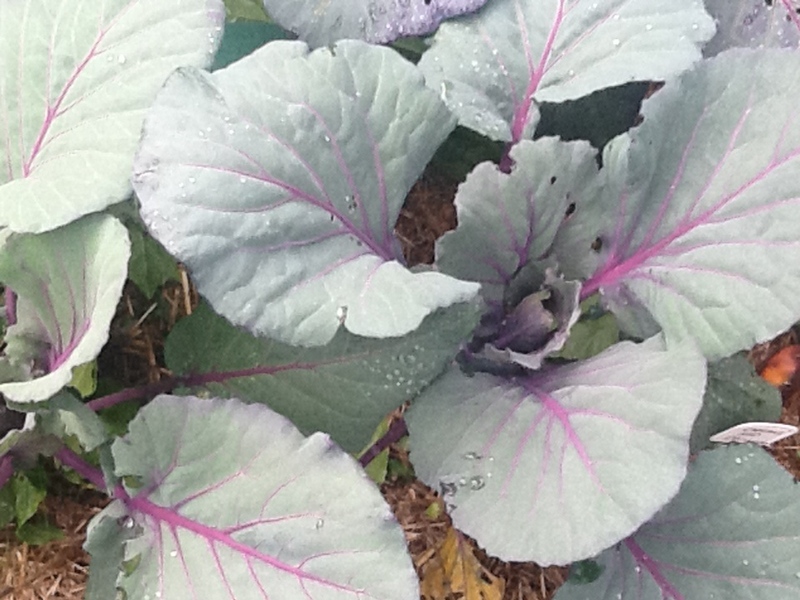 Now I have three to four small cabbages growing on each plant. Great little size at about 15 -20 cm across. Hi Gardenbliss; Thanks for visiting my blog. I always love to "meet" new friends. Your Winter veggies look to be in fine form. Here in the UK there is not really much that will grow successfully outside during the winter: leeks, swedes, cabbages yes, but most other things need protection, such as a poly-tunnel (I wish I had one!). you treat broccoli as a Winter veg; I have to treat it as a summer one. Hi mark, thanks for stopping by my blog. Yes, I suppose I should be grateful with so many veggies that we can still grow in winter, but I still miss the tomatoes terribly. I get so excited when I plant our the first tomato plant for the season. Also, Chooks don't take up a lot of room you know, check with your local council, a little pen down the back for a couple of happy hens and you'll have daily fresh eggs and great garden manure!!! Hi Garden Bliss, thank you for your kind comments on my blog :) I was reading yours when halfway through the font changed! It gave me a little fright!! Hi Ali, not sure what's going on there- it's all the same when I look at it...??? Thanks gooseberry jam for your post. I'll think about the chooks, but until then I'll just enjoy looking at the pics of yours. Hi mark, yes I have a poly- tunnel, but we don't need it through winter. I will however use it come spring time when I plant out my summer veggies, as we can sometimes get a late frost. 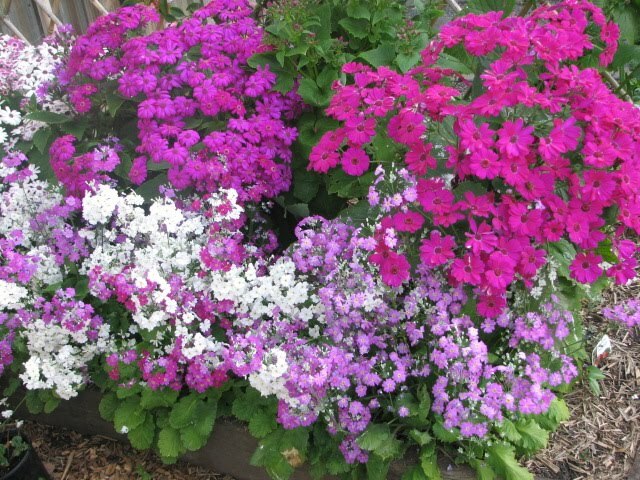 Your garden looks fantastic! I'd love to grow watercress as we eat so much of it, but always thought I needed to grow it in water! 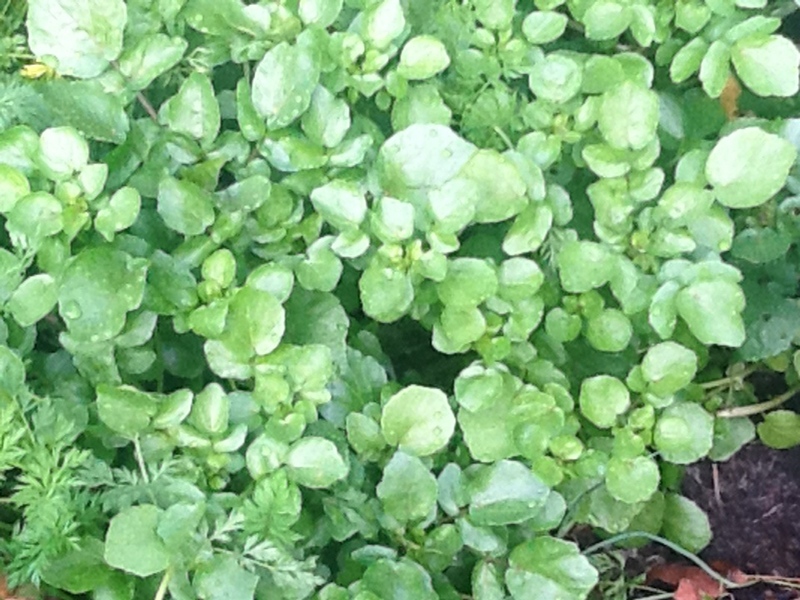 Thanks Mrs Bok, I sprinkled the watercress seeds in the garden last spring. Up they came and then when the weather got too hot, and they shoot to seed, I pulled them all out. So I thought! Now they're bigger than ever. Very different taste to the store bought watercress though, a lot more sharper in taste. Not sure if I prefer it this way?